State-level investments in health centers, in combination with federal funding, are rapidly becoming more important as health centers face rising medical costs and an increasingly complex health care system. 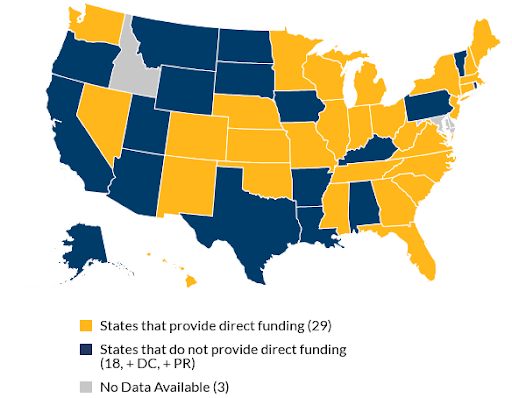 Currently, over half of all states provide some level of direct funding for health centers. According to NACHC’s 2018 PCA State Environment Assessment, 29 states provided direct state funding to FQHCs in FY2018. State funding can help health centers expand access to care to communities in need, increase outreach and enrollment initiatives, train health professionals, invest in building and supplies, and cover the costs of uncompensated care. For advocates interested in connecting with state legislators about state funding opportunities, visit hcadvocacy.org to find your state legislators’ contact information.